Are you looking to start a blog but no idea where to start? Want to make money from a blog you already have? Need help with your social media traffic? That's where I come in. So many of the Blogging Consultations you find are for more advanced bloggers or offer a bunch of stuff you don't need for a crazy high price (I saw one for $5,000 for 2 hours of work!) If you are just starting out you don't have that kind of cash. 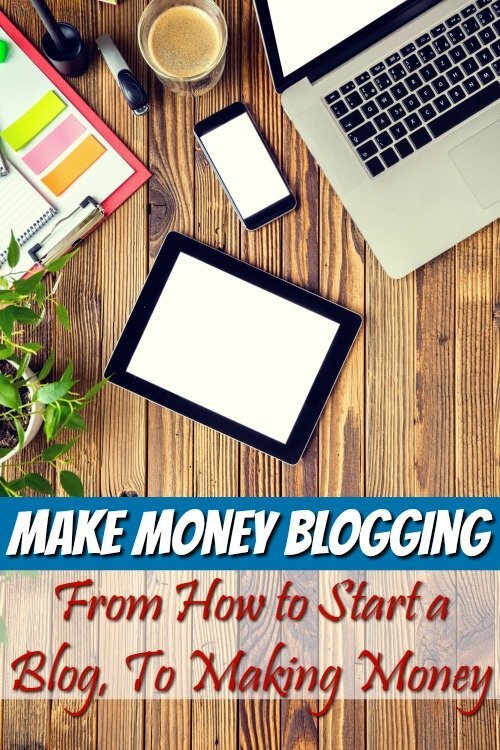 First, check out my How to Make Money Blogging section. If you haven't started your blog yet it will be more beneficial in your consultation to at least have one up even if you don't have to ready to push out to the public yet. You can find step by step ways on how to get a blog started in my How to Start a Blog post. How do you know if what I am offering is for you? I can offer one of two things. Helping you to get started blogging for income. I specialize in bloggers that have under 75k -100k page views. But am able to do site audits on blogs of all sizes. I also specialize in helping bloggers who travel full time (or want to travel full time) and want to earn money from blogging and writing online to make money. I know each blogger is at a different point in their blogging journey and these consultations are here to help you where ever you are on your journey. No 2 people will get the same consult. Also, keep in mind all payments are made via PayPal. Keep in mind: I do NOT share infomation from consultations, your info is kept secret, keep this is mind during your consultation because the more honest you are with me, the more I can help you. What you get: You will fill out a form letting me know what you want to do, what you want to learn and where you are with your blog. I will then take a look at your blog and social channels and make a list of places to improve and things to do, ways to improve or earn an income. Then we will schedule 1-hour phone call where you can ask me any questions you have and I can go into detail about anything you want to know more about. You will also get a follow-up email from me about any resources we talked about links that will help you etc. You will then get access to my Facebook Group where you can ask questions and get answers from other bloggers and myself. Do I happen to be in the same area as you? Want to sit down face to face and have your consultation? This includes everything the above 1-hour phone call does but you and I will sit down at a local coffee shop and work on your site face to face. If you book this during a conference or rally the cost is only $100! Here you get access to me for 1 month. This is 1 month of unlimited emailing support, and (1) 90 minute long phone call a week. You will also get access to my Facebook Group. At the beginning of the 30 days, you will fill out a form letting me know what you want to do, what you want to learn and where you are with your blog. At the end of the 30 days, I will leave you will an action plan with goals on how to move in the direction you want to head. Have your blog going but ready to take it from a hobby to a business? If you only need help on making money from your blog this package is for you. I will help you focus on monetizing your blog. You will (1) 90-minute phone call where I can walk you through any set or issues you are having problems with. Prior to our phone call you will fill out a form so I can get a better idea of HOW you want to monetize your blog, (ads, sponsored content, ebooks, selling items, all the above?) I will then send you a list of affiliates or companies to sign up with and take a look at that fit your niche and how you are looking to make money. After the phone call, you will get 1 week of unlimited emails and access to my Facebook Group. If you are looking for help on understanding social media, how to leverage it, and how to use it to grow your blog you can get a one-hour phone call and 2 email follow ups. You also get an action plan to move forward with and access to my Facebook Group. Looking for help on how to balance traveling, blogging, roadschooling, and more? Blogging on the road is a beast in itself. Here I can help you with any challenges you have any questions and more. This is unlimited email access for 2 weeks and access to the Facebook Group. If you need help growing your blog or making money please select one of the options above.